Movies and politics have always been related to each other. So, it is not uncommon for Indian celebs to join the field with the interest of working for the people in general. The newest entrant into politics from Bollywood is Madhuri Dixit. She has joined the ranks of Jaya Bachchan, Rekha, Hema Malini, Kirron Kher to join politics. 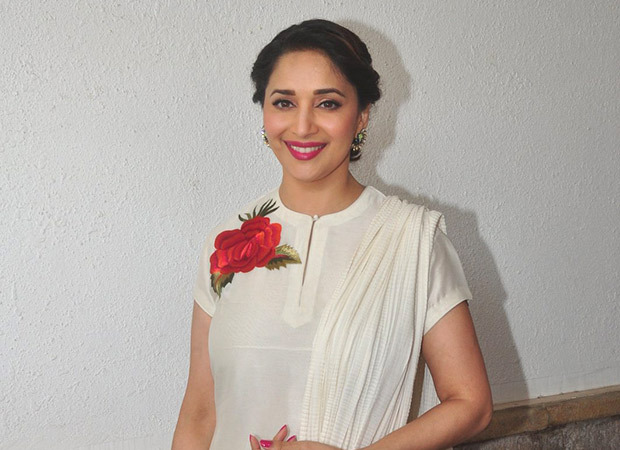 As per reports, Madhuri may contest the 2019 Lok Sabha elections representing the Bhartiya Janata Party from Pune constituency this time around. Though the actress has not confirmed it, a BJP representative spoke about it to the press. Given the popularity she has and the fact that she has reconnected with her Marathi audience after featuring in the film, Bucket List, she is a perfect candidate for the party. Madhuri even met with Amit Shah recently and discussed her role and work of party so far. Looks like a new inning has begun for the Dhak Dhak girl and only time will tell if she indeed becomes a successful politician. On work front, Madhuri Dixit will be seen in Kalank produced by Karan Johar's Dharma and will be seen opposite Sanjay Dutt for the first time in decades. There is a lot of expectation from the film because both Madhuri and Sanjay have been a killer Jodi, on and off screen. She will also be seen with yet another hit on screen co-star Anil Kapoor in Total Dhamaal. There is a lot on Madhuri's plate and it would be great to see more of her in coming months. Also Read: Will Madhuri Dixit turn leading lady for Ayushmann Khurrana’s wife Tahira Kashyap’s debut?